Our friends Justin and Amelia just bought a house that has enough land for Amelia to have her long sought for farm. Today she started with six little chicks. We went over today to welcome them to the family. We've got the best of all worlds--all the fun, none of the mess. Thanks, Hohls! I am still a bit afraid of our new "farm" and all the work that is looming. 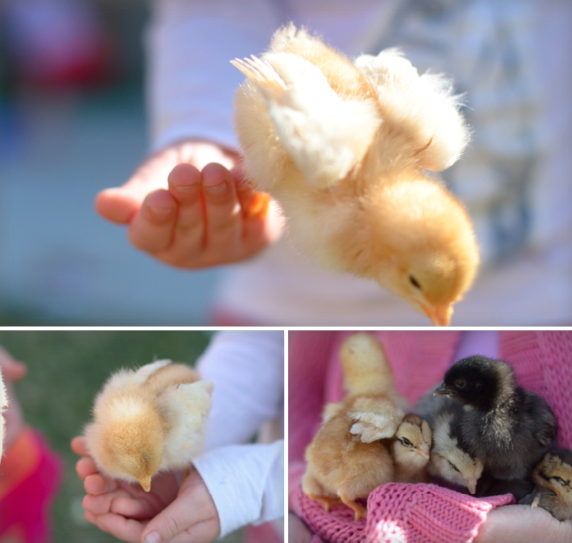 (while 7-10 mos pregnant no less) We got chicks today too. Only 4, to replace the ones we lost. I hope I can keep my two busy bodies from over loving them until they get bigger. Oh, those are adorable. Takes me back to MY farm days. Glad Ella got to do that.